I live in Ohio. I’ve lived here all my life. I’m used to having all four seasons, sometimes in one week! The current temperature is almost 60 degrees!!!!! IT.IS.JANUARY!!! The forecast for the weekend? A winter storm watch. But meteorologists seem unsure of what will actually fall from the sky. If it truly comes, it sounds bad. So, we have to be prepared because this momma does not like to mess with driving in any kind of snow when I have precious cargo in the backseat! So let’s talk slow cookers!! 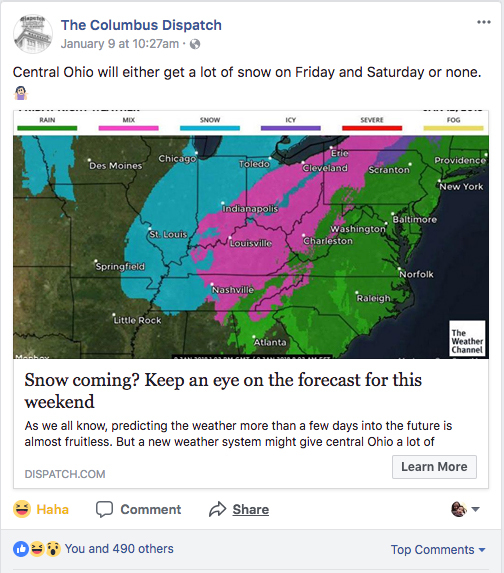 The actual Facebook post from the local paper! Too funny! 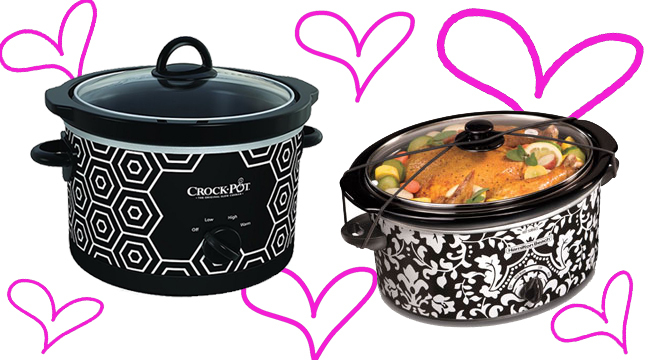 January is National Slow Cooker Month and I think that is perfect. It’s cold, yucky, and snowy out, so how great is it to come home and just relax because dinner is already done! I love coming home to a hot meal! Sometimes, when I’m on my “A Game,” I’ve grocery shopped, and prepared some crockpot meals and put them in the freezer. It’s perfect because before my husband leaves for work, he puts one of the meals in the pot. By the time I get home from work, it is ready! It helps cut down on eating out and helps us eat healthier, which is a goal for just about everyone! A few months ago, I upgraded from a 2 quart mini crock pot to the 4.5 quart one on the left above! It was total adult life! I have fallen even more in love with my slow cooker since I had Isabella because it doesn’t take me away from her in her needy stages! 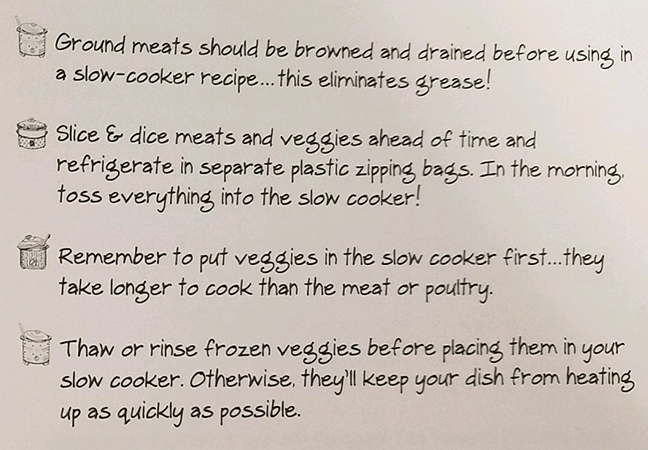 Here are some slow cooker tips from Gooseberry Patch. This what I love about their cookbooks; there are little bits of advice sprinkled throughout the pages! At KP Creek we have some fantastic cookbooks with easy slow cooker recipes! You can literally cook ANY meal in a crock pot; I haven’t tried breakfast or desserts yet but that is on my list! 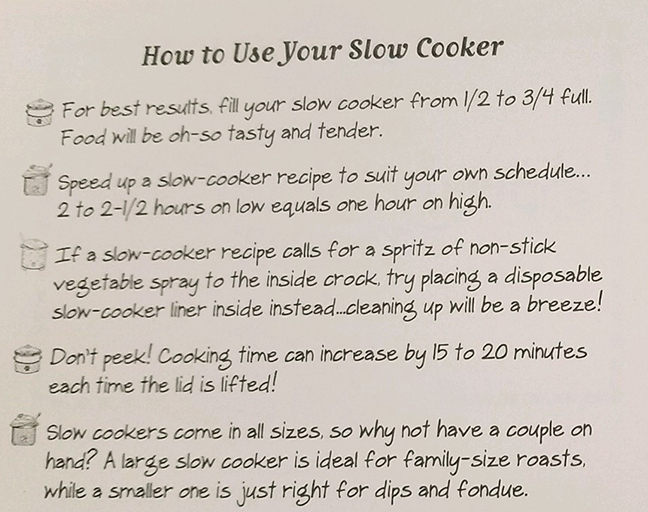 Note: the Speedy Slow-Cooker Recipes is on its way back in stock! I would love it if you would share your favorite slow cooker recipe with me, so please leave a comment! I will venture out before the storm hits and we will be set for the weekend! Hopefully other “storm preparers” haven’t cleared out Kroger!